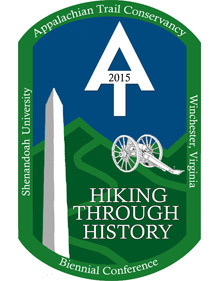 It’s not too early to think about volunteering for 'Hiking Through History', the 2015 Appalachian Trail Conservancy (ATC) Biennial. 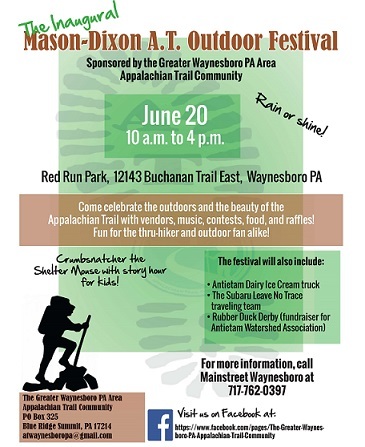 Consider this event the annual meeting of the Appalachian Trail.......except it is every other year. What is a classroom ?? Four walls in a building or can it be in the woods on the AT ?? 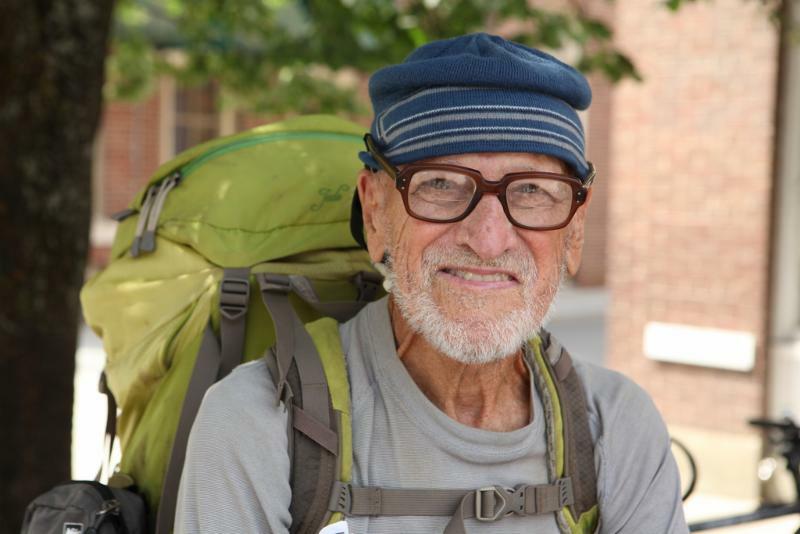 How can we expose others to the wonder we experience in nature hiking the trails ?? 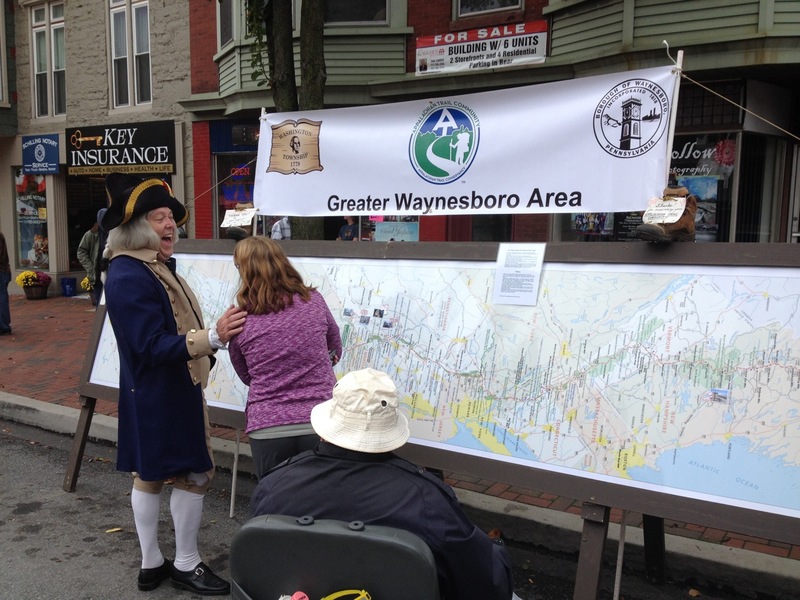 Our appearance at Market Day in downtown Waynesboro (Oct 4) gave us much "face time" with the crowds - at first, a cloudy, damp and chilly start but later sunshine and clear skies increased foot traffic. Indeed, the giant map drew many over to explore, then chat w/ Curt and Tawnya Finney, Chris Firme or myself. On July's3rd Saturday at the Blue Ridge Summit library, one can find the PATC booth amid all the treasures - bargain books, bake sale items, t-shirts, plants, pottery, art, birdhouses, rocks & minerals, all sorts of live music, local authors, community & history information, hot lunches and deeLISHous locally-made Antietam Dairy ice cream, as well as a 5K run/walk.